As of 2018, the Town Topics Newspaper charges a flat fee of $210 to publish all wedding and engagement announcements. 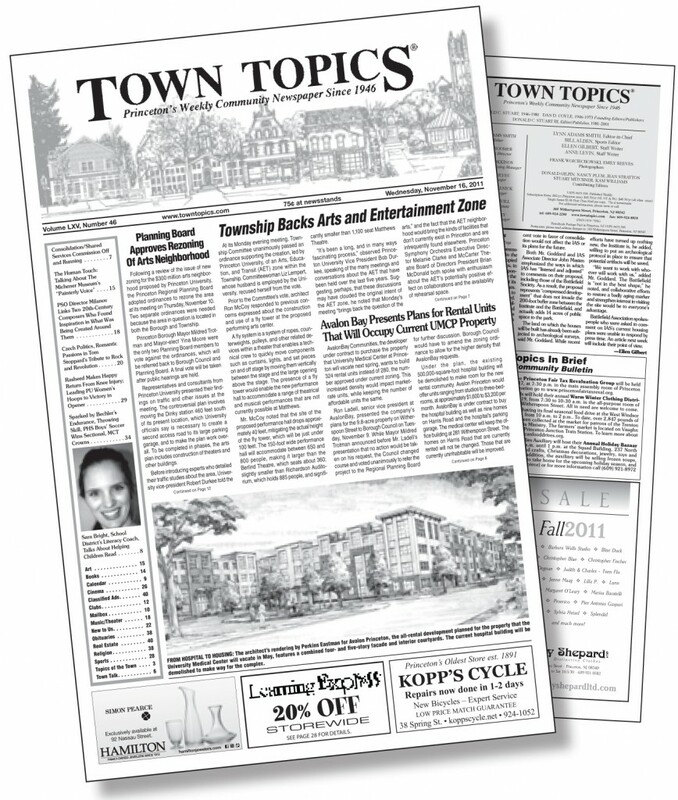 Text, photos, and contact information should be emailed to editor@towntopics.com. Once all materials are received, the sender will be notified via email. The deadline for Wednesday publication is Monday at 5 p.m. For additional information, contact Laurie Pellichero at (609) 924-2200 ext. 26. As of 2018, the Town Topics Newspaper charges a flat fee of $210 to publish all obituaries of 400 words or less (photo included). Those obituaries with a word count of 400 + are priced at $300. Text, photos, and contact information should be emailed to obits@towntopics.com. Once all materials are received, the sender will be notified via email. The deadline for Wednesday publication is Monday at 5 p.m. For additional information, contact Laurie Pellichero at (609) 924-2200 ext. 26.